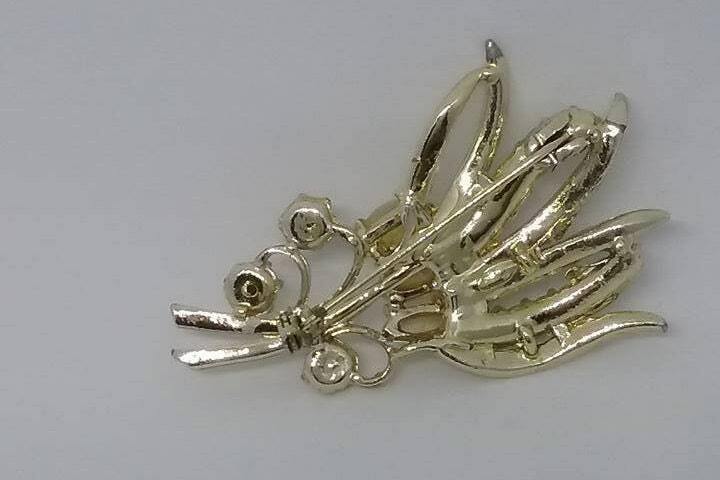 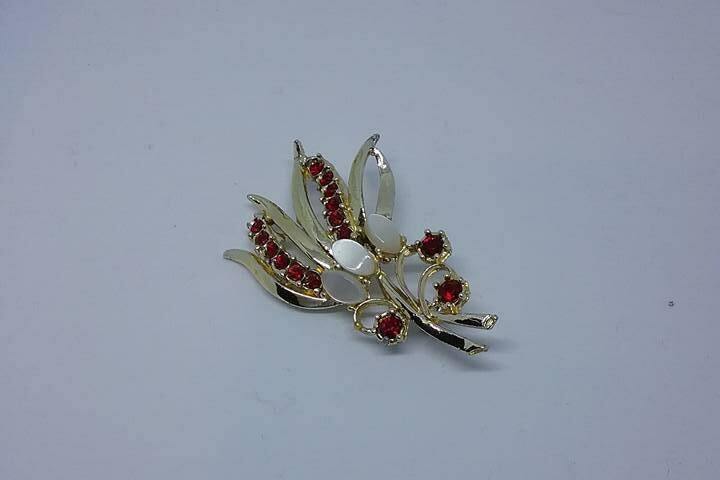 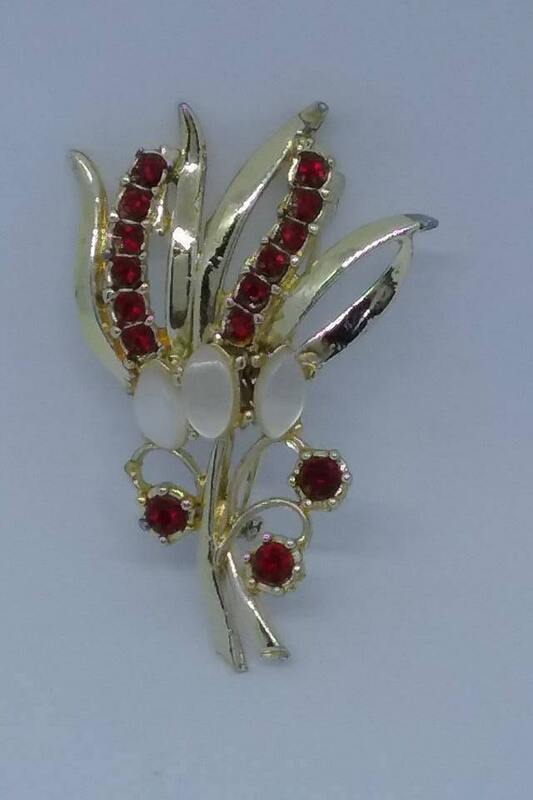 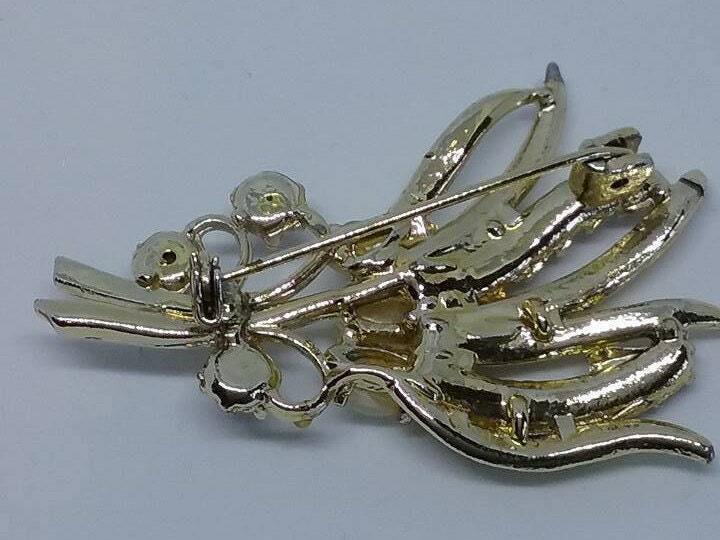 Vintage rhinestone floral spray brooch. 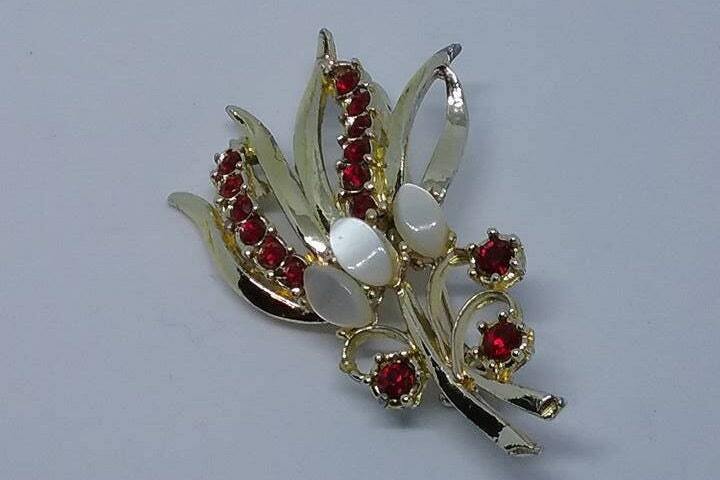 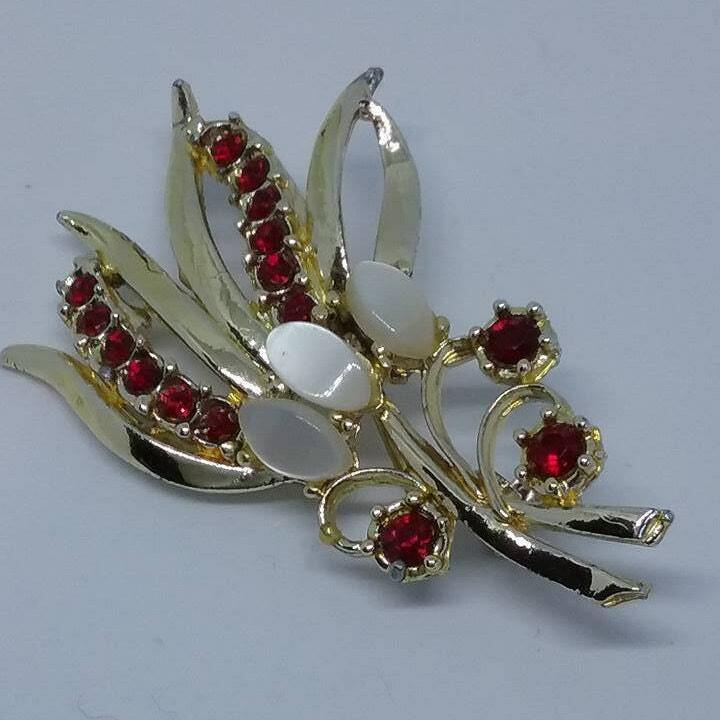 Red ruby rhinestones astound the piece, while only offset by the beautiful, cloudy white, opal-like, three larger stones. 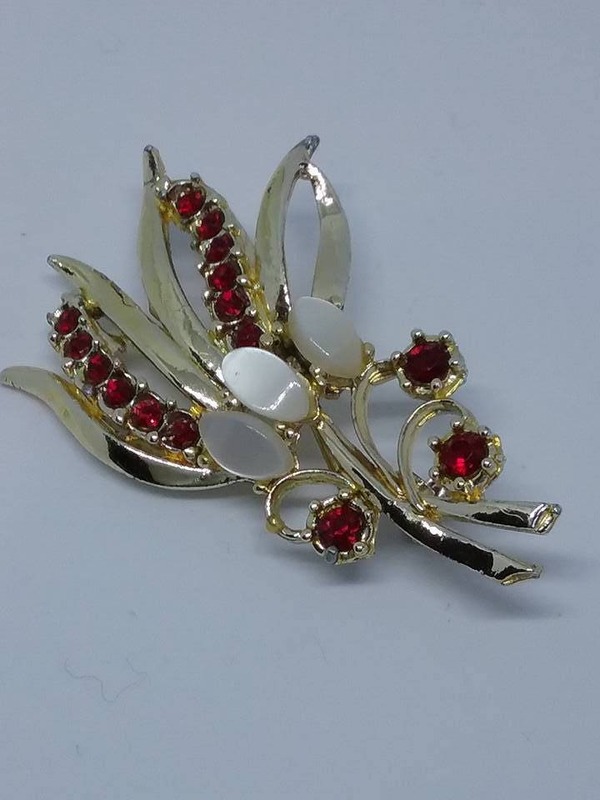 Red, white and gold, always stunning.